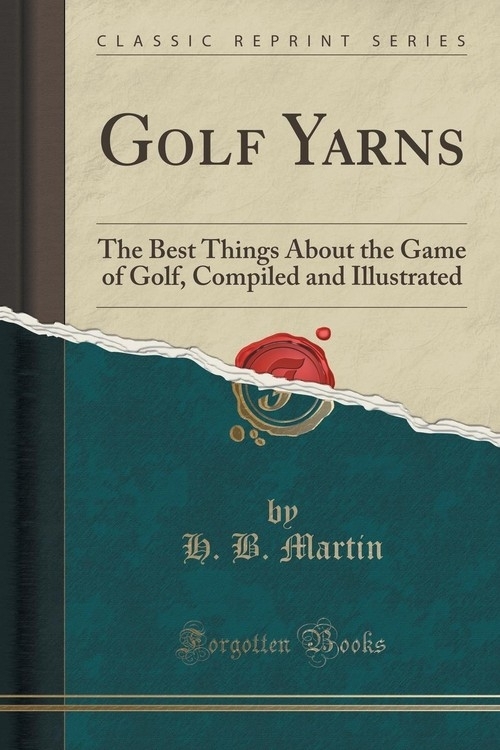 Opis: Golf Yarns - Martin H. B.
Excerpt from Golf Yarns: The Best Things About the Game of Golf, Compiled and Illustrated<br><br>There are two brands of humour in golf. One comes from the outsider, who loves to make fun of a golfer&apos;s clothes, his clubs or the terms of the game. The real golfer, who always takes his game seriously, never sees anything funny in this sort of wit. The other kind is the things that happen or might happen to the player on the links or thoughts that might occur to him during his hours of reflection. It is this latter brand of humour that has been collected for this little book. It is the serious golfer, or perhaps he who understands golf best, that will get the most laughs out of these stories.<br><br>A reporter once suggested a very good golf feature to the editor of one of New York&apos;s large Sunday papers.<br><br>About the Publisher<br><br>Forgotten Books publishes hundreds of thousands of rare and classic books. Find more at www.forgottenbooks.com<br><br>This book is a reproduction of an important historical work. Forgotten Books uses state-of-the-art technology to digitally reconstruct the work, preserving the original format whilst repairing imperfections present in the aged copy. In rare cases, an imperfection in the original, such as a blemish or missing page, may be replicated in our edition. We do, however, repair the vast majority of imperfections successfully; any imperfections that remain are intentionally left to preserve the state of such historical works. Szczegóły: Golf Yarns - Martin H. B.
Recenzje: Golf Yarns - Martin H. B.